Good nutrition has always been at the heart of the PerformancePro approach. Now with science-based Nutrition Coaching and Functional Health, we’re taking your fitness and our nutrition service a significant step further. Meet Nutritionist and Naturopath Cathy Williams. With a passion for improving the health and habits of people of all ages, Cathy introduces a new integrated and functional approach to good nutrition here at PerformancePro. 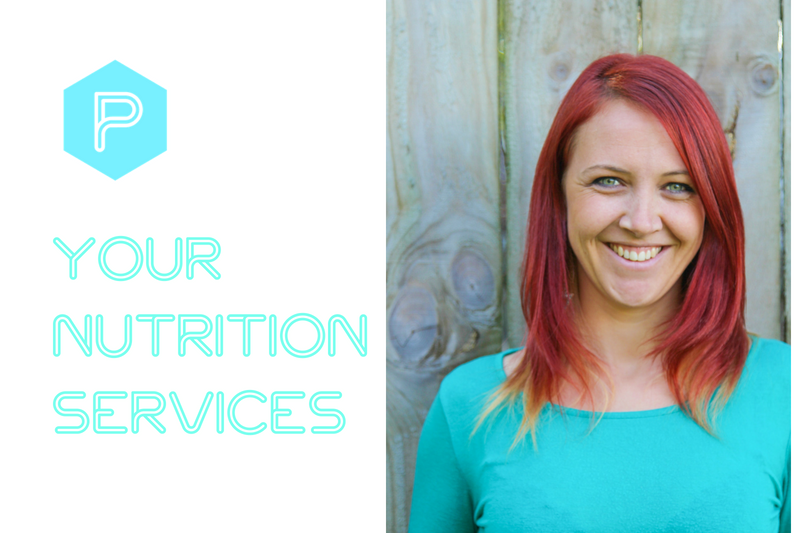 Specialising in gut health, weight loss, stress and mood, sleep and brain health, Cathy utilises habit and behavioural changes to implement evidence-based interventions with our clients. We caught up with Cathy in between sessions and asked her to tell us more about it. She started by explaining the difference between Nutrition Coaching and Functional Health. Nutrition Coaching uses a habit and behavioural based approach to build and improve on existing habits to help an individual toward their goals. The key is consistency. Nutrition coaching provides the accountability and support framework needed to give you the best opportunity to overcome any limiting factors and obstacles that may be standing in the way of your good health. “Many people just really need to nail the basics of what goes in their mouth every day and can get fantastic results from focusing on a few cornerstone nutritional habits. These vary from person to person. For example, a cornerstone habit might be a weekly shop to ensure you don’t revert to takeaways when stressed or busy. For others, it may be eating slowly, mindfully and consciously. It all depends on an individual’s routine, vulnerable spots and mindset or longstanding habits. “I meet the clients at whatever stage they’re at and work with them to design a step-by-step protocol to improve their nutritional and lifestyle habits one day at a time. The important focus is to strive for consistent progress, rather than trying to adhere to a ‘perfect’ regime. Functional Health determines how and why illness occurs then restores your health by addressing the specific root causes. It is an individualised, patient-centred, science-based approach. It requires a detailed understanding of your biochemical and lifestyle factors. We then work together to address the underlying causes of imbalance. This in turn promotes your optimal wellness. “One condition can have many causes and likewise one cause can result in many conditions. As a result, successful improvement must target the specific causes of imbalance in each individual. Cathy has been interested in natural health and good nutrition from an early age. Her mother was into the more natural approach, seeking natural remedies for any health problems wherever she could. These included homeopathy, supplements and visits to naturopaths. From childhood, Cathy had a weakness for ear and throat infections including a prolonged and severe tonsillitis and glandular fever episode when she was a teenager. Multiple courses of stronger and stronger antibiotics yielded no result. Acupuncture and natural medicine were the only things that helped. To this day, Cathy is still prone to throat infections when she’s stressed or not looking after herself, so preventative care is very important. After studying Nutrition, Naturopathy & Herbal Medicine at Wellpark College of Natural Therapies in Auckland, Cathy enjoyed working for various companies all with strong links to key functional health and integrative medicine practitioners. She then went on to further study with Precision Nutrition and various CPD’s with Integrative and Functional Medicine organisations and practitioners. “For me, the only way to truly improve the health of an individual is to see that person as a whole and then address any internal imbalances. Otherwise, you’re just masking symptoms. “It’s glaringly obvious by the skyrocketing disease, mental health and obesity rates that current healthcare methods simply aren’t working. We need to shift to a preventative approach rather than a reactive approach if we want to truly improve the health of our current and future generations. With this ethos in mind, Cathy strives to help as many people as possible. She loves working with individuals then seeing the ripple effect of their change influencing the partner, children and the people around them. “For me personally, good health and good nutrition is all about balance, having fun and how I feel. Over the years, I’ve become very tuned in to my body. Cathy initially heard about PerformancePro and our work through a colleague. Then when she met with PerformancePro’s Dan Boulle and Alex Adams, it was clear they were all on the same page. “We share the same principles. It’s all about getting the right foundations in place before advancing and helping everyday people look and feel fantastic. The underlying holistic principles of good function, sleep, movement and nutrition are as important to me as they are to PerformancePro. GOOD NUTRITION – WHERE TO START? Just start – It doesn’t really matter WHAT you start with (eating more veggies, drinking more water, managing stress better) the important thing is to just start. Start small – Too many people put off making any change because they think it has to be big and complex to be important. Big can be hard but the truth is that change breeds change, and success breeds success. Starting anywhere and starting small has a ripple effect that is more important than many people realise. One step at a time – Once you’ve had success in one thing, no matter how small, you’re more likely to succeed in the next thing. Most people don’t wake up one day with a whole host of bad habits. They build slowly over time, so creating healthier habits need to be treated the same. Keep track – Evaluate where you are at and find any part of your day or food intake that you can make just 1% better. Focus on that, do it CONSISTENTLY, and do only that until you’ve got it nailed and you do it on autopilot. Resist the urge to ‘overhaul’ or ‘go on a diet’ – These are only temporary changes that bring temporary results. You’re in this life and body for the long haul, so build your good habits one step at a time. Then lock them in solidly!